CLICK TO SIGN UP NOW!! Now open every Tuesday evening from 5-8pm. 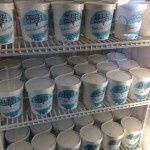 You can buy FrozBroz pints of ice cream every Tuesday evening at our kitchen from 5pm – 8pm. Upcoming Saturday sales and details will be listed below. 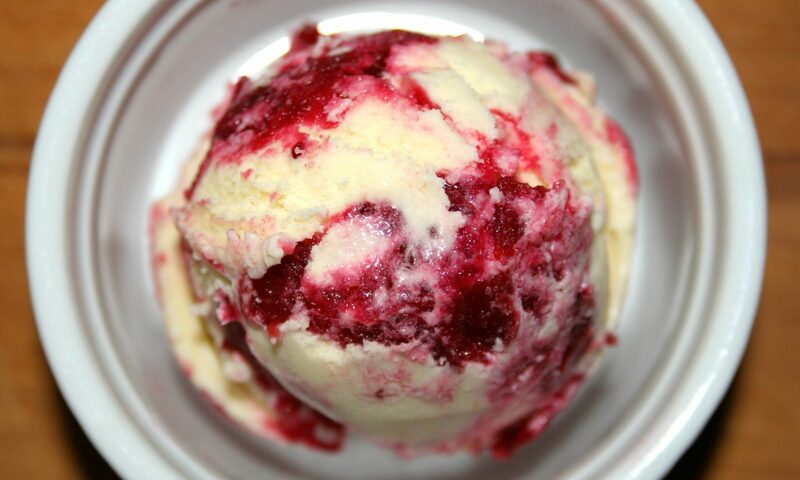 All of our ice cream is made with all natural ingredients, locally sourced whenever possible, always free trade and often organic. We use absolutely no artificial sweeteners, or binders. Cream from Hope Foods and Eggs from Callister Farms. Update: IndieGoGo Fundraising – THANK YOU!!! 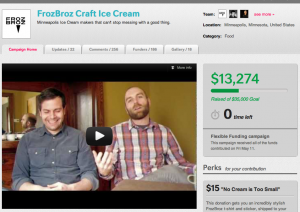 Thank you to EVERYONE who supported our Indiegogo fundraising campaign. We are speechless! Thanks to you, we raised $13,274! We really can’t thank you enough. In the end we were unable to reach our goal of raising $35,000, but we are forging ahead with this adventure knowing that so many of you are behind us. We are now carefully weighing our options, and will do our best to keep all of you up to date in our next steps to getting our ice cream to everyone who wants it. Again, from the bottom of our hearts, THANK YOU!